Oh, I’m lucky to have grown up in a business that just loves giving out prizes! 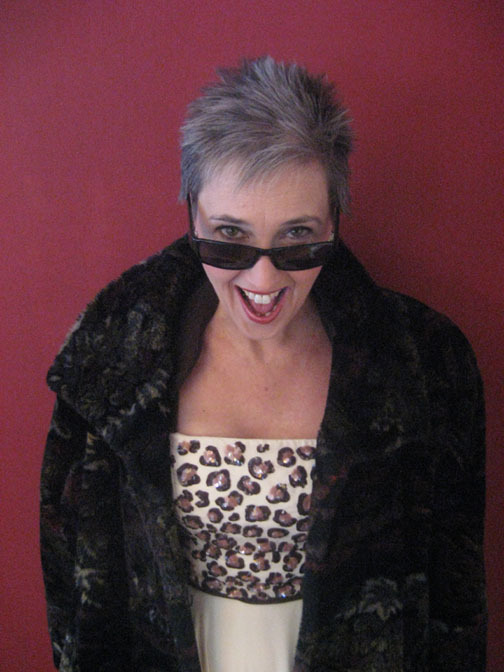 I’ve blown the bucks on glamorous (for me) outfits to wear at the various BFD Journalism/ Broadcasting Award Dinners, Ceremonies and Soirees. I’ve got a collection of certificates and plaques in a box some place in my basement. Without being too obnoxious, my three regional Emmys and my five national Gracies, presented by the American Women in Radio and Television, are the awards I’m most proud of. 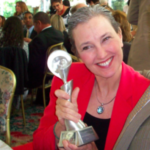 In November of 2018, I was awarded the Journalists in Aging Fellows Program–no, not because I am aging, but because I am frequently writing about topics involving longevity. The fellowship, presented by the Gerontological Society of America, is allowing me to learn more–and report more–about the fascinating changes created by, for and in our aging society. 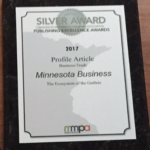 tickled to win my first print award in the autumn of 2017–a Silver Award for magazine features, presented by the Minnesota Magazine Publishers Association for my story on The Ecosystem of the Guthrie Theater, published in Minnesota Business magazine. 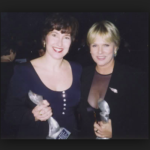 I was in the early stages of my final pregnancy and looking kind of queasy when Sharon Gless presented me with this Gracie at the Waldorf Astoria in NYC for my reporting work at WCCO. My hair was still growing back after chemo when I pranced onto the stage at the Tavern on the Green in NYC to grab this Gracie, awarded for my radio show on FM107. Freelance writing, voice work, video and audio producing. In a good mood 97.4% of the time. kevynburger.com Ask for it by name.